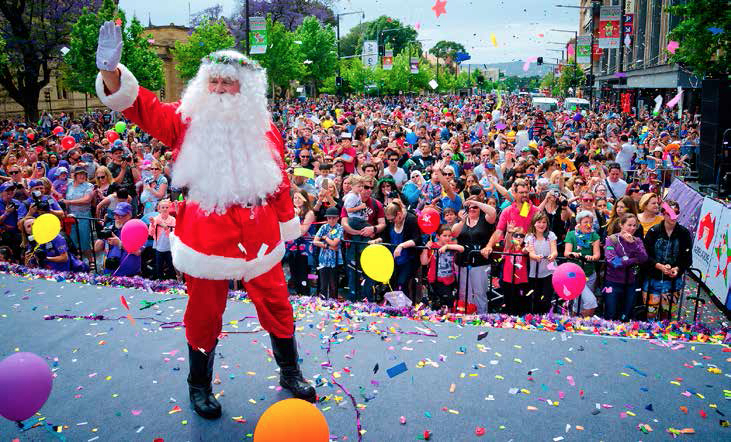 Access2Arts, in partnership with Beyond Bank, the Royal Society for the Blind, and Radio Adelaide, will, for the first time, be live audio describing the 2015 Credit Union Christmas Pageant on Saturday 14 November from 10.00am broadcasting on 101.5 FM. 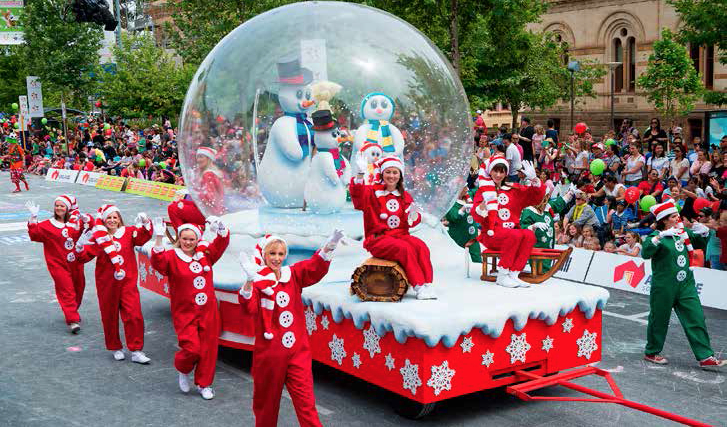 Acknowledged as the traditional start of the festive season, children (of all ages) across South Australia look forward to the Credit Union Christmas Pageant, the parade brings the spirit of Christmas to Adelaide’s city streets. For the first time in the pageant’s 83-year history live audio description will offer blind and vision-impaired people the chance to be part of the annual celebration. Building on Access2Arts’ audio description of the Adelaide Fringe Festival’s Opening Parade (which is also broadcast on Radio Adelaide) the description offers new opportunities for audience to be part of the popular community event that welcomes Father Christmas to the Magic Cave. An area for audio description patrons will be set up on North Terrace in the bus stop T2 in front of Bagot House (198 North Tce, Adelaide). Patrons can collect a free FM headset pre-tuned to the broadcast on Radio Adelaide or they can bring their own listening device. If you are not able to get to Adelaide, tune in to Radio Adelaide on 101.5 FM from 10.00am on Saturday 14 November 2015. The broadcast of the 2015 Credit Union Christmas Pageant is supported by Beyond Bank, the Royal Society for the Blind, and Radio Adelaide.